Three seniors were recently honored by the Maine Township High School District 207 Board of Education as “207’s Best” for academic achievement. Nicole Kasperek from Maine East, Pavani Jairam from Maine West and George Dalianis from Maine South were all recognized by the Board of Education. In her nomination letter, it shares that Nicole has consistently taken a full schedule of accelerated and Advanced Placement courses all four years of school, and has earned an A or A+ in every one of those classes. Currently, she is taking AP English and Literature, AP US Comparative Government & Politics, AP Calculus AB, AP Biology, and AP Spanish Language. She is also an active member of the Gifted Lyceum program and an accomplished member of the school’s orchestra program. Read the nomination letter. Pavani is described in her nomination letter as someone who excels in academics, extra-curricular involvement and community service. 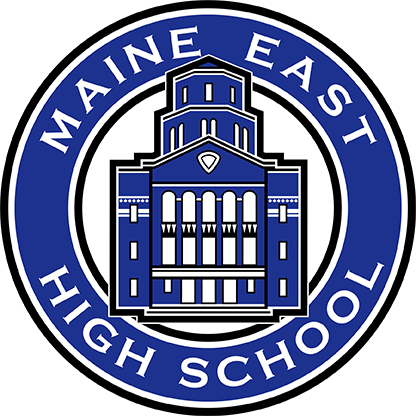 With a grade-point average of 4.9, Pavani clearly achieves at the highest of academic levels and has taken the most demanding curriculum during her time at Maine West. She is currently enrolled in five Advanced Placement classes and is in the Symphonic Orchestra as well. She is a National Merit Commended Scholar, president of National Honor Society, a member of National Spanish Honor Society, Pi Sigma Pi, Mu Alpha Theta, National Science Honor Society, and National English Honor Society. Read the nomination letter. In his nomination letter, it shares that George as a GPA of 4.94 and that he is a National Merit commended student. He also is an accomplished concert pianist, practicing two to three hours everyday. He was a National Young Arts winner for the his playing among his peers. He’s performed recitals and even performed once at Symphony Center. In high school, he has taken a rigorous course load, including, AP Euro, AP Calc BC, AP US History, AP Physics 1, AP Language and Composition, AP Econ, AP English literature, AP Psychology, AP French, AP Physics C, Multivariable calculus, and a member of our state championship C-team (unit 1). He is in National Honor Society, Junior State of America, and Principal’s Advisory Council. Read the Nomination Letter.